The Rock Island Armory 1911 GI is an excellent entry level 1911 that can be used for defense, duty, concealed carry, and recreational shooting applications. 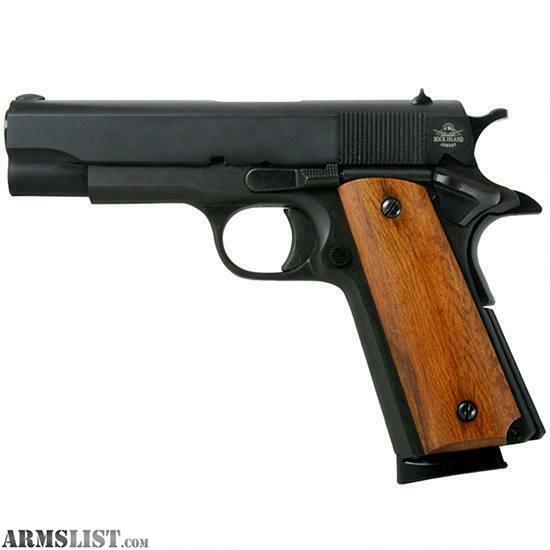 The Rock Island Armory 1911 GI comes with a 4.25" Barrel, Smooth Wood Grips, Parkerized Finish, and Fixed GI Style Sights. This is an excellent shooter that has earned a solid reputation for being an incredible value as well as being reliable, durable, and accurate.